Friday is ORANGE shirt day! 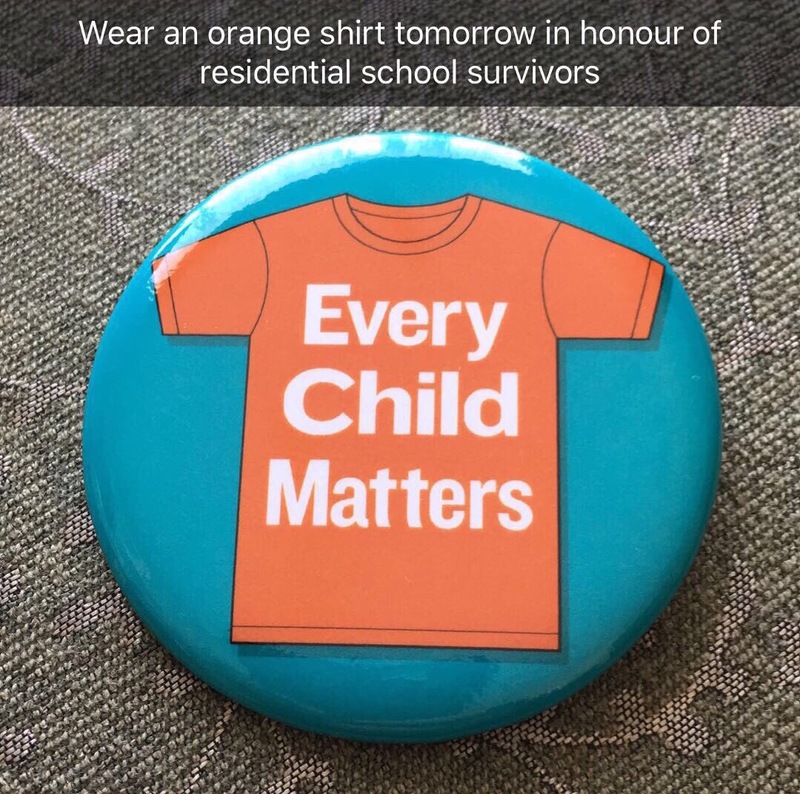 Wear orange in solidarity as a remembrance and acknowledgement of the apology to our FNMI peoples who suffered in residential schools. TONIGHT – the BBQ will be happening INSIDE. Please bear with us as we try to be flexible and adapt our plans to deal with the weather. The BBQ staff will be serving inside and we will eat in the gym. At 6:00 we will begin to transform the gym for our Curriculum night. Thank you for your understanding. Please enter the school through the FRONT doors as the BBQ will be happening at the parking lot doors. TERRY FOX – it is raining here and as a result, we will be postponing our walk and weather permitting, it will be on Wednesday October 5th. BBQ will be from 5:15-6:15 and weather permitting will be outdoors. Please note that the Town of Markham no longer rents picnic benches so there is limited seating available. You may bring a blanket to sit on or a lawn chair. We promise delicious food and GREAT company! 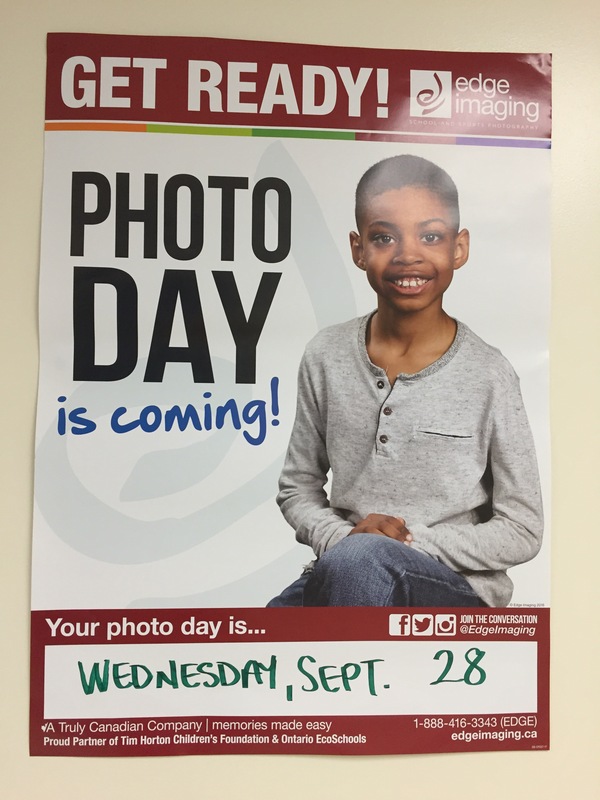 Tomorrow, Wednesday September 28th, is PHOTO DAY! Please come to school with your biggest smile…and preferably a shirt without a wild pattern on it. We have had a great week here at GMPS! Upcoming – next week is Safety Week and we will have a fire drill, lockdown drill and a hold and secure drill. We will be discussing safety of all kinds in the classes. In partnership with The Lice Crew, German Mills Public School started today with our yearly professional head lice screening services to minimize the risk of head lice in our classrooms. A professionally trained technician conducts checks on each child who ‘opted in’ in the school. These students are screened using individual screening sticks and are examined using professional magnification equipment in a discreet and friendly manner. School wide screenings are an effective way to minimize the risk of head lice at the school and working together with families who can provide on-going checks at home will keep the cases to a minimum throughout the year. The classes where lice has been found will receive a letter with instructions and information, so look for that this evening. If you have any questions or require additional information, please do not hesitate to contact the school office. It is important to note that only 50% of people show symptoms of head lice, such as scratching, so it is possible to be infected and not be aware. If you did not ‘opt in’ and would like to for the next check, please visit Cash Online. Working together with schools and communities, The Lice Crew is committed to making the lice removal process educational, safe, stress-free and fun. If you have any questions, or would like to learn more about The Lice Crew’s professional services, please contact a member of the crew at: 416-781-4545 (Toronto) or visit us online at www.licecrew.com. Please see the link if you are interested in Computer Skills Training.